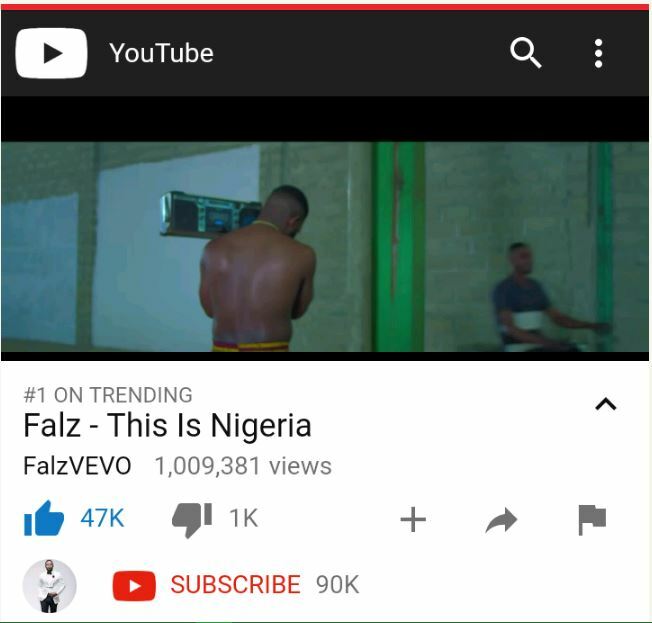 Falz’s ‘This Is Nigeria’ Hits 1 Million Views On YouTube In 3 Days. Following the recent upload of his own version of Childish Gambino’s “This is America”, Falz has taken over the social media. Right from the moment of the release of “This is Nigeria”, views have been increasing per seconds. Just in 3 days, the video hits 1 million views. ALSO READ Ariana Grande's Upcoming Album Will Be "Thank U, Next"